The hotel is situated amidst olive trees in a shady glen only a stroll away from two beautiful shingled beaches. It is located on the unspoiled west coast of Greece, a little way south of Paleokastritsa. 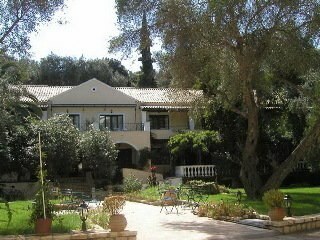 It is only 4 km from Paleokastritsa and 20 km from the picturesque town of Corfu. The centre of Liapades is around 1 km away. Liapades Beach is some 70 metres from the property. 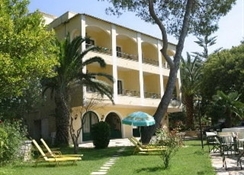 This is a traditional family hotel with a typical Greek atmosphere. 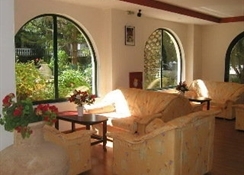 It provides a currency exchange facility, a café-bar and free wireless Internet access. Other facilities at this air-conditioned establishment include a lobby, 24-hour reception and check-out service, a hotel safe, TV lounge and children''s playground. All studios and apartments are comfortable and modern with a kitchenette with mini fridge, individually regulated air conditioning, satellite TV, music, a safe, direct dial telephone and Internet access. 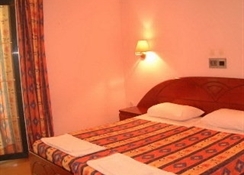 Each room has a bathroom with shower and hairdryer, and a balcony or terrace with sea or mountain views.